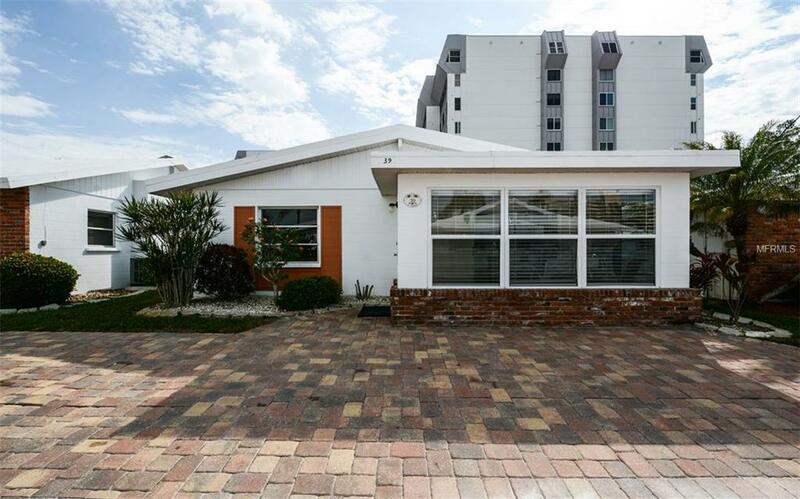 Own your own ground floor villa a short distance to Siesta Key Beach at the Aloha Kai Apartments. There are two shaded gazebos on the beach owned by this complex. There are 50 units, with a community pool, recreational facilities, a shuffle board court, common laundry in the pool area, and an on-site rental office on property located at 6620 Midnight Pass Road. There is a three-day minimum rental and this is an income producing cooperative unit. This unit has all tile floors, two bedrooms, with one updated bathroom, with a shower and granite counter top. The Kitchen has also been updated with newer cabinetry, granite counter tops and newer appliances. There is 840 square feet villa with an enclosed 375 square foot lanai, with an open patio in the rear and a storage shed on the side. Your own private parking space is right in front of the unit. This is a must-see for beach lovers. The 2019 projected rental revenue is $24,116.84. in 2018 it was 33,704.91 and in 2017 it was $32,443.02. Additional Lease Restrictions There is A Three-Day Minimum But Most Rentals Run For One Week Saturday Ti Saturday.